Venezuela shifts oil ventures' accounts to Russian bank - SABC News - Breaking news, special reports, world, business, sport coverage of all South African current events. Africa's news leader. PDVSA’s move to advance funds to a Russian bank come after the United States imposed tough, new financial sanctions on January 28 aimed at blocking Venezuela’s President Nicolas Maduro’s access to the country’s oil revenue. PDVSA’s move comes after the United States imposed tough, new financial sanctions on January 28 aimed at blocking Venezuela’s President Nicolas Maduro’s access to the country’s oil revenue. The United States and dozens of other countries have recognized Guaido as the nation’s legitimate head of state. Maduro has denounced Guaido as a US puppet seeking to foment a coup. The joint venture partners include Norway’s Equinor ASA, US-based Chevron Corp and France’s Total SA. “We would like to make formal your knowledge of new banking instructions to make payments in US dollars or euros,” wrote PDVSA’s finance vice president, Fernando De Quintal, in a letter dated February 8 to the PDVSA unit that supervises its joint ventures. The sanctions gave US oil companies working in Venezuela, including Chevron and oil service firms Halliburton Co, General Electric Co’s Baker Hughes and Schlumberger NV, a deadline to halt all operations in the South American country. 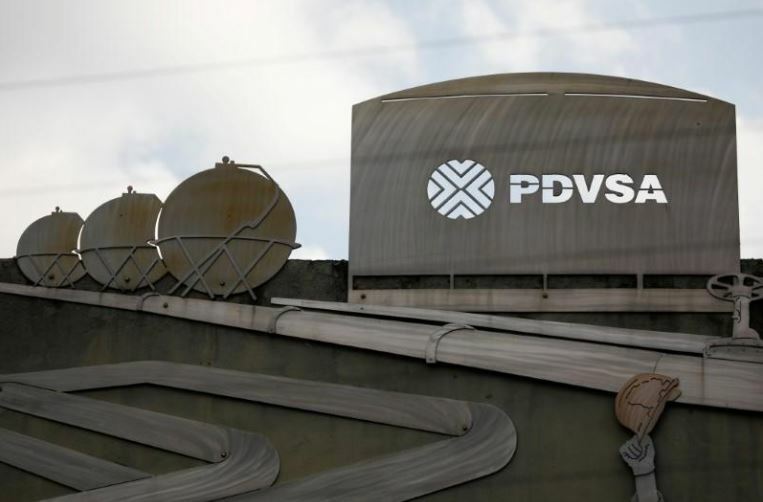 PDVSA also ordered its Petrocedeno joint venture with Equinor and Total to halt extra-heavy oil output and upgrading due to a lack of naphtha needed to make the production exportable, as the sanctions prohibit US suppliers of the fuel from exporting to Venezuela. This entry was posted on 10 Feb 2019,08:21AM at 8:21 AM and is filed under Business, Homepage Featured Story Slider. You can follow any responses to this entry through the RSS 2.0 feed. Both comments and pings are currently closed.